I'm a sucker for word dies and the new Avery Elle Amazing die is my new word die crush! Don't you just love this handwritten font? Since the die is so bold, I wanted to pair it with something just as bold. So I used the Petal Plate die to make a shaker, but this time with just half of the die cut. I filled the "petals" with some of my favorite star sequins:) So messy, but so cute! oh my! I love this card. the shapes and colors are amazing. its ingenius really. thanks so much for sharing it with us. 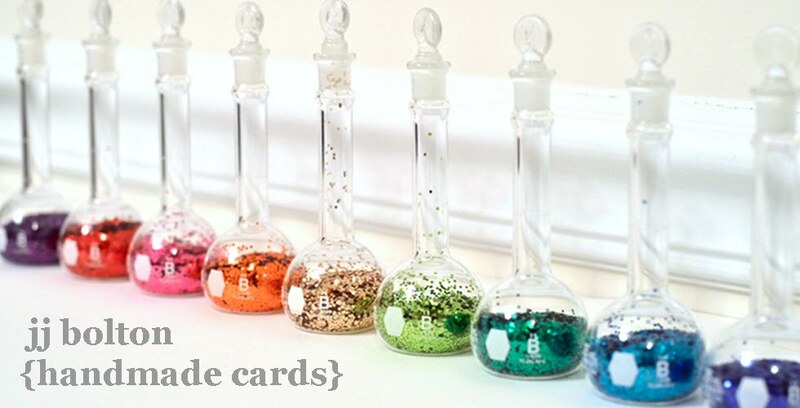 Wow that is so pretty...you must have had a lot of patience to place those sequins so carefully! I do love the bold font on this die cut word...WOW! 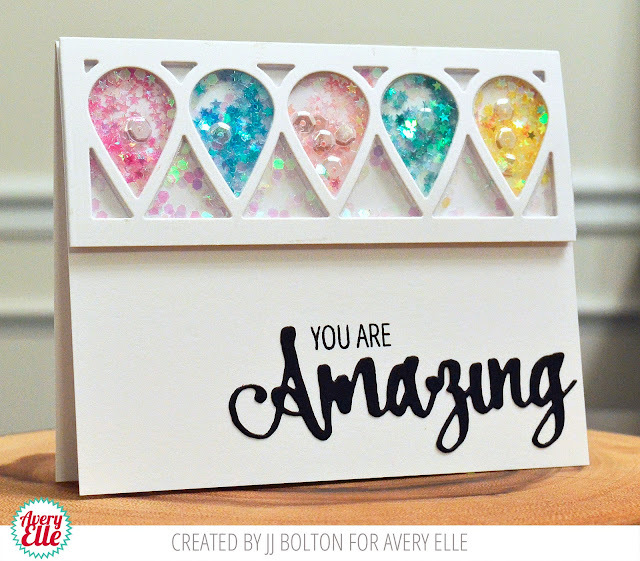 Love how you created a shaker with the Petal Plate die, too...such a fun card, JJ!